A rain garden is a depression created in your landscape to allow rainwater from your roof or driveway to slowly soak into the ground instead of running off into the nearest stream or Puget Sound. Native soils are removed and replaced with a special blend of high organic soil, bioretention and mulch. 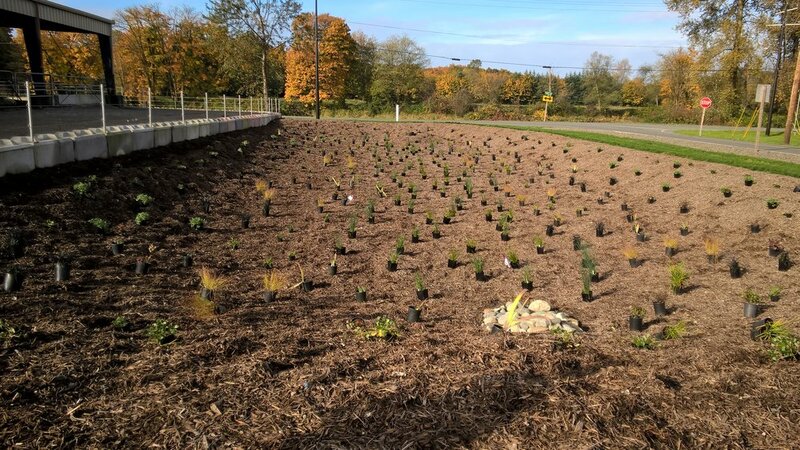 Rain gardens are then planted with beautiful, hardy, low-maintenance native perennial plants, which can withstand drought and wet root conditions.